As Etsy, an online marketplace for the creative industry continues to expand into new markets, this week they named Toronto-based publicity firm rock-it promotions as their Canadian public relations agency of record. As part of the assignment, rock-it promotions will strategize and collaborate on inventive campaigns with Etsy Canada’s in house team to generate media coverage and increased awareness for the brand and Etsy’s seller community. 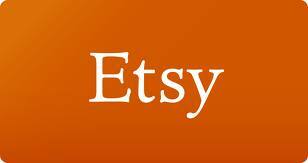 With its growing list of artists and curatorsx Etsy currently have over 30 million users worldwide.